One of the great things about being a family-owned business is that we understand the importance of building and maintaining strong, positive relationships and pulling together for a common cause. This rule of thumb applies to every single member of the Arthur Price team, and we’re incredibly fortunate to have many dedicated members of staff who all believe in the importance of great customer service. Additionally, in recent years we’ve had the privilege of collaborating with some exceptionally talented people. We like to think of our associated designers as part of our extended family; each of the designers we work with brings a new dimension to the overall collection, ensuring that you, the customer, are spoilt for choice. 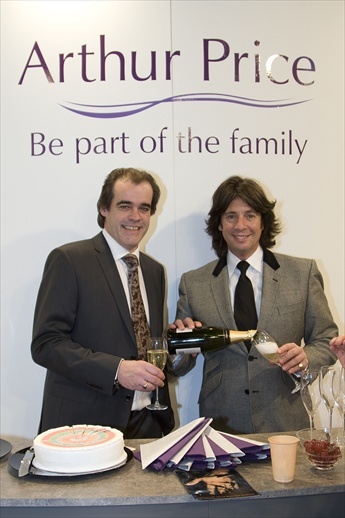 Our collaborations range from the inimitable Laurence Llewelyn-Bowen to award-winning jeweller Nicholas James, as well as the master of luxurious interior design, Clive Christian, and Sophie Conran, the designer and cookery writer with an exceptional pedigree. I hope you enjoy learning about the innovative work that we’ve been doing with our fantastic partners. 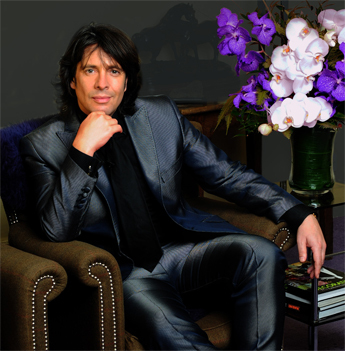 The grand master of the decadent design flourish, Laurence Llewelyn-Bowen, has been working with us for over a decade. When Laurence’s cutlery range first launched in 2000, it really was the first designer cutlery on the market. His popularity as an interior designer from his regular TV appearances on the massively popular ‘Changing Rooms’ made Laurence a great ambassador for raising the profile of design; particularly for making people think differently about the everyday items that are used in the home, such as cutlery. From the outset, there was a distinctive look and feel to all the pieces in Laurence’s range. The most popular designs from the original launch were Echo and Orb - so much so that both designs are still going strong today, surely a testament to Laurence’s skill.